Please use the buttons below to schedule service at our dealership or contact our Service Department. You can also call us at (716) 877-1500. Basil Resale Delaware takes pride in being the best Resale center in Western NY. We sell and service all makes and models and owe our success to our customers! We believe in helping you preserve the quality and value of your vehicle so we offer free New York State Inspections for Life, in addition to when you buy 3 Oil Changes, we will do the 4th one for FREE when you purchase and service your vehicle at Basil Resale Delaware. We offer a maintenance program to ensure that your vehicle is reliable and up to date with all services to maintain any factory or extended warranties. While your vehicle is serviced by our certified technicians, a multipoint inspection is performed to observe the major functions of your automobile. Providing this service helps to limit any added expense by monitoring the function of the vehicle and fixing any minor repairs as soon as they appear. Our customers know that we will help protect the value of their vehicles over time. 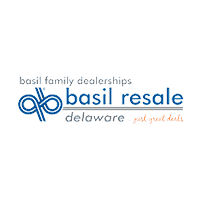 Many of the cars we sell are traded back to Basil Resale Delaware. Our services are conveniently priced below the market and we constantly compare prices with our competitors to ensure you the best deal possible.